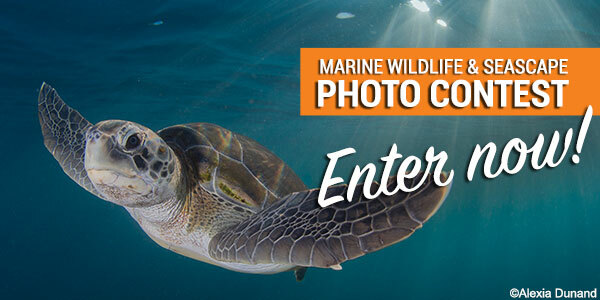 Ocean Conservancy’s Marine Wildlife and Seascape Photo Contest is officially open! Our expert panel of judges are searching for photographs of stunning ocean scenery, charismatic ocean critters or anything that reminds them of the beauty and power of the ocean. We’ll be awarding great prizes from SeaBags, Picabook and Norton Point to a Judges’ Choice, People’s Choice and five runners-up. We’ll even be sharing some of our favorites on our social media channels. We’ll be accepting submissions from now until July 10. Afterwards, you and your friends will be able to vote for their favorite photos online. This contest is open to the public* and free to enter, so feel free to invite your fellow ocean-lovers to participate. I can’t wait to see your beautiful ocean images! *Children 18 and under must have their parent or legal guardian’s permission to participate. Marine wildlife and seascape photo competition. Ocean Conservancy.